Jamboree on the Air Campout – BSA Troop 285 invited several hams to join them on the annual Jamboree on the Air / recruiting campout during October 16-18. 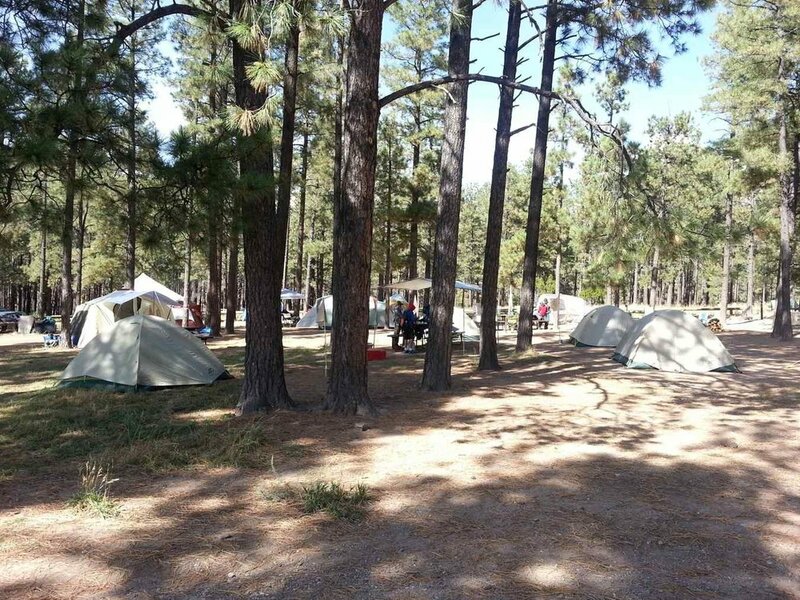 This year, it was held at the Ponderosa Group Campground on the Bandelier National Monument. The amateur radio community responded in grand fashion. 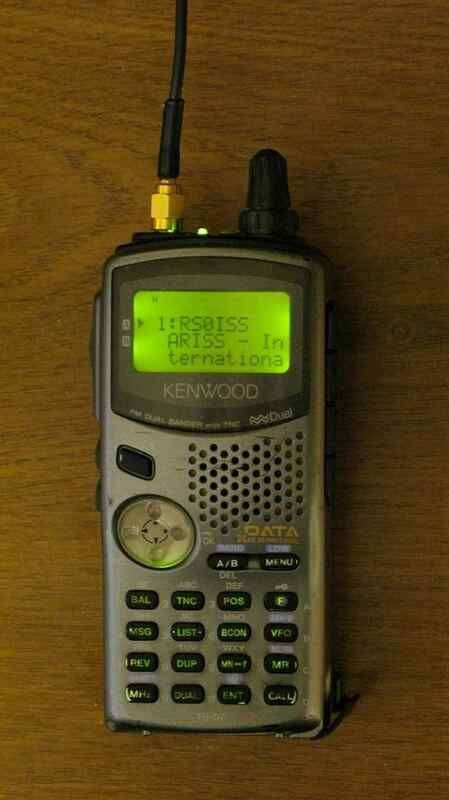 Mark Brueggemann K5LXP set up numerous modes to show the Scouts (APRS, CW, digital, Mesh network, QRP in an Altoid can, and satellite). Kelly Hunt KF5FLQ brought his 2-1/2 ton military radio truck which was a big hit with the boys. Jim Hunter NM5JH came prepared to demonstrate VHF/UHF radio, offer them old copies and QST magazine, and tell how they could get their Technician ham license in November in his class. David Quintana KG5JMU, an new ham, and his wife Debbie showed the Scouts how to properly conduct a Search and Rescue operation, including FRS radio communications and how to use a compass. The Scouts were then broken into four SAR teams (Eagle 1, 2, 3, 4) to compete in finding a mock airplane crash site. Every team came surprisingly close to the exact “crash site”. Each team was awarded a Styrofoam glider which they really enjoyed. 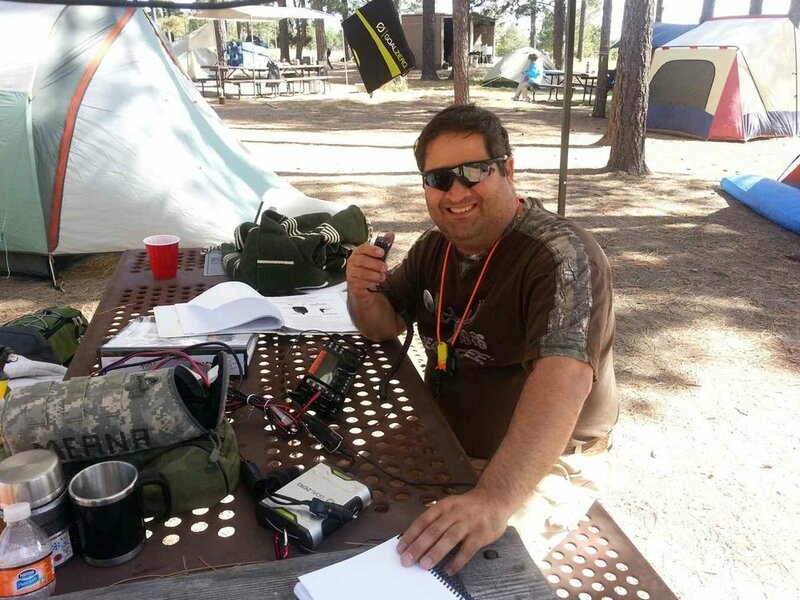 David Patek K9JXH brought all the hardware to demonstrate both Whispr and Mesh networks in the field as well as SSB on 20 meters. 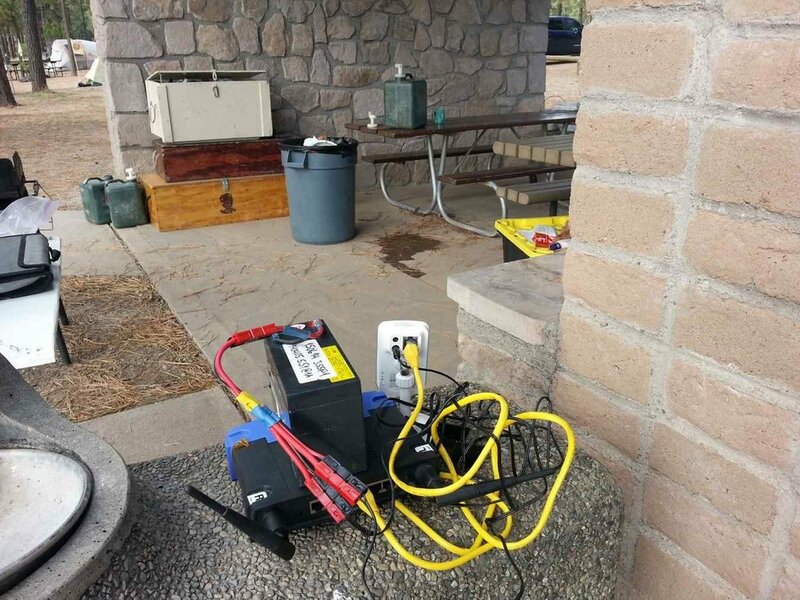 Finally, Pete Stine KE5WTM also set up his new FT-857d radio after challenging the boys to set up his 20 meter dipole in the tall Ponderosa pines. After numerous attempts they were successful. Ron Malpass WA5OZW also volunteered to attend but unfortunately had to cancel at the last minute. Adolfo Meana K5ICK and family visited from Los Alamos and he set up his KX3 to demonstrate what a backpack-size radio can do. 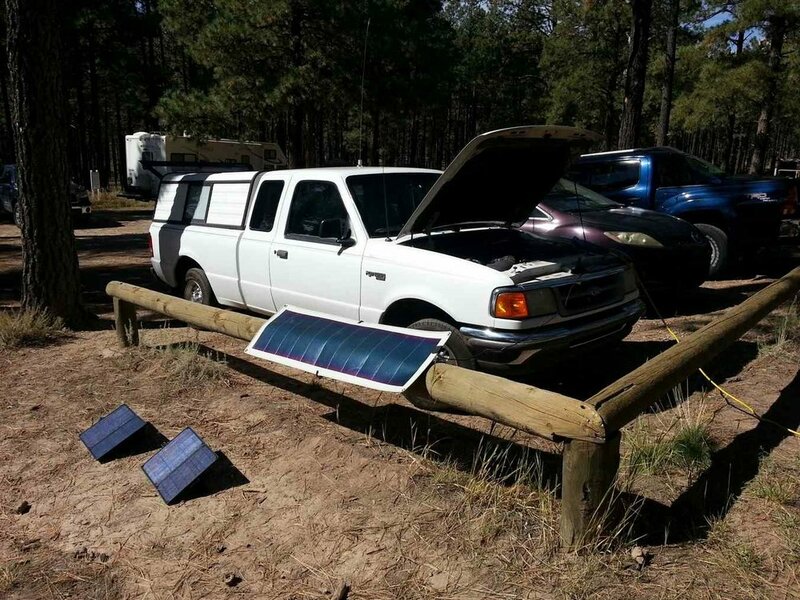 In addition, John Zoltai, of the Los Alamos ARC, towed the club’s Search and Rescue trailer to the campground to show the Scouts (and us hams) what a well-equipped SAR setup looks like and to answer questions. All in all, the Scouts were exposed to a very impressive cross-section of amateur radio. A great big THANK YOU to the hams that participated and to Troop 285 for hosting us. We had a great time!